Leave a comment with a link to your inchie art or link yourself! 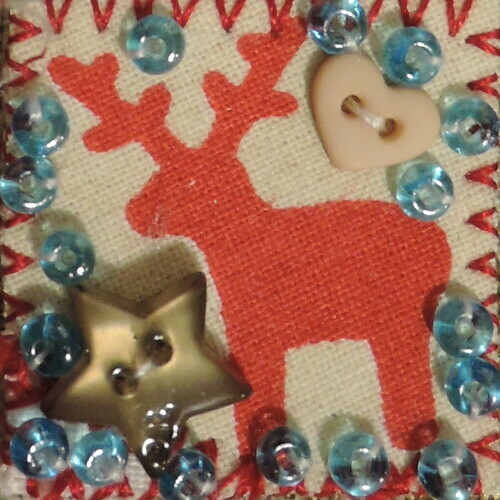 I love those blue beads surrounding the reindeer! Your reindeer is great! You do such beautiful work! Lovely inchie, have a great Christmas.